Pictures and videos/streaming can be found on the website of the event and Twitter. The [email protected] took place during the 2nd Brazil/Spain Seminar in Technology Innovation in Tourism (3rd & 4th May) in Florianopolis City, Brazil. The event, hosted by Federal Institute of Santa Catarina, attracted an audience of 164 people who joined the event live in Florianopolis or followed via live-stream online. 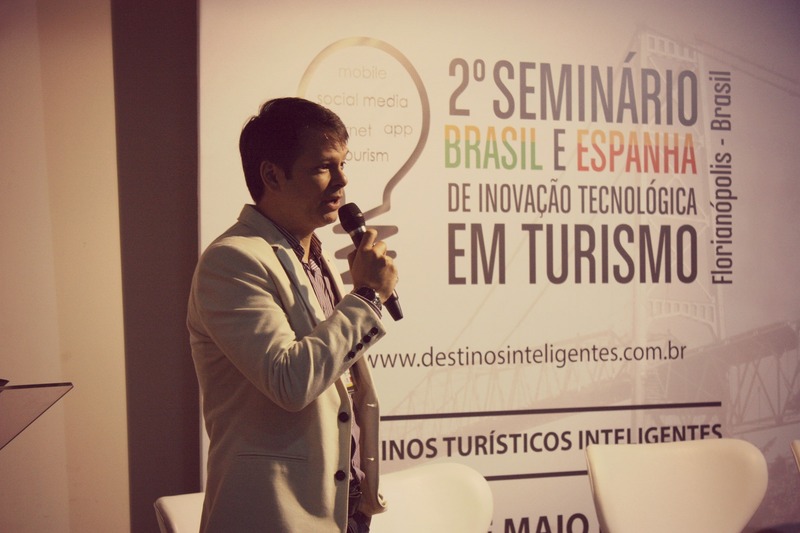 Dr. Alexandre Biz, Director of TURITEC Lab (Federal University of Paraná), chaired this event that had the aim to involve Brazilians and Spanish academics as well as industry experts to exchange knowledge about technology innovation on tourism. There was also a space to discuss PhD and Master research proposals on tourism from Brazilians universities. The event was divided into four main sessions in two days. In the day one, the first part of the session in the morning was dedicated to IFITT. Dr. Lorenzo Cantoni (President of IFITT) provided a video presentation on how IFITT works, and Dr. Paul Baron (Destination and Industry Ambassador of IFITT) provided a video presentation on how free wifi in Melbourne have helped the city to become a smart destination. To finish the IFITT session, Dr. Luiz Mendes-Filho (IFITT member) explained more details and data about IFITT activities, benefits for IFITT members, and ENTER conferences. The second part of the session in the morning was focused on tourism as a business platform. First presentation of this session was given by Enrique Sanjoaquin, the Director of Technology and Business Development of SEGITTUR, Spain. Sidnei Rodrigues (Santa Catarina State Industry Federation), Jun Yamamoto (Strategic Management Director of Brazilian Tourism Ministry), and André Spínola (SEBRAE Manager) have discussed issues on how tourism could be a business platform. To finish this section, there were two research project presentations: Tarcita Ghizoni de Sousa (Analysis of Transformation of a Traditional Tourist Destination in Smart Tourism Destination), and Jackson de Souza (Assessing the Effectiveness of Promotion of Tourist Destinations: An Approach in Sergipe State). 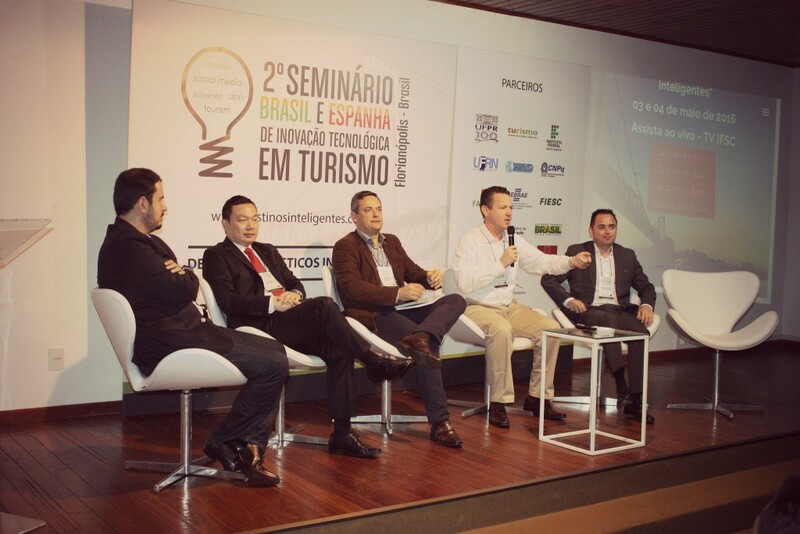 The main topic discussed in the afternoon was smart tourism destinations. Enrique Sanjoaquin (SEGITTUR) and Josep Baidal (Alicante University) brought many successful cases of smart cities in Spain, while Daniel Blanco (CEO Furukawa Electric) and Roberto Pacheco (Federal University of Santa Catarina) presented some examples of smart destinations in Brazil. 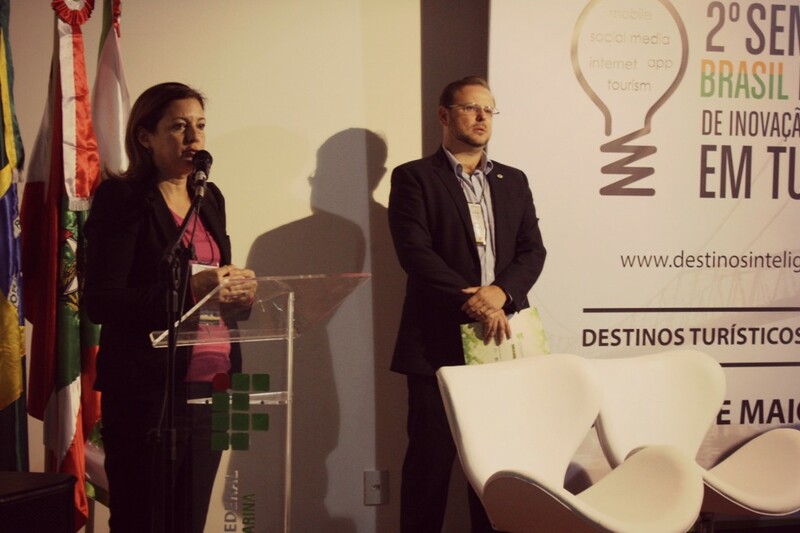 There were also two research project presentations: Marcelle da Cruz (Construction of an Evaluation Model for Planning, Management and Control for Smart Tourism Destinations Based on Curitiba City), and João de Freitas (Smart City or Smart Tourism Destination?). Morning session in the day two was focused on innovation centers in tourism. Dr. Javier Monzonis (Director of INVAT.TUR) and Dr. Miguel Eriksson (Executive Director of MHP Servicios de Control) presented information about their institutions in Spain. Fabio Flatschart (CEO Flatschart Consultoria), and Rui Gonçalves (CEO Innovation Catarinense Red – RECEPETi) talked about their experiences in their innovation centers in Brazil. The session was completed with two research project presentations: Cristina Martins (The Contribution of the Joint Technology Clusters and Tourism for Local Development), and Cecilia Pavan (Analysis of Information Flow and Process of a Knowledge Creation of Destination Management Organization). The last session of the event was discussed entrepreneurship and tourism. First presentation was about the Mobile Tourist Guide ‘Find Natal’ given by Dr. Luiz Mendes-Filho (Federal University of Rio Grande do Norte), whereas Dr. Tiago Mondo (Federal Institute of Santa Catarina) provided details on how it works the TOURQUAL, an evaluation model of quality services in tourist attractions. The following presentation was given by Dr. Raúl Algobia (CEO Minube), Spain. The session was completed with two research project presentations: Gislainy da Silva (Online Travel Agencies: A Perception of Different Groups of Accommodation Consumers), and Danielle Machado (The Influence of Social Media in the Image of Destination and Intention to Visit It).